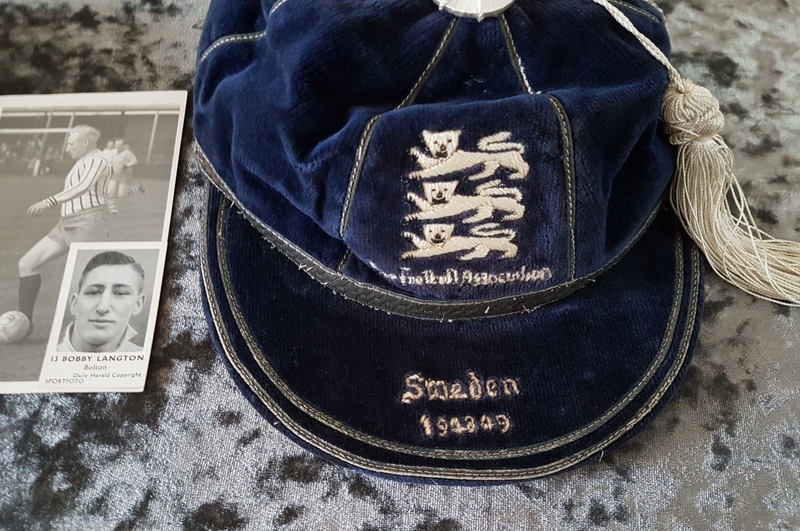 We’re very pleased to have secured this England International Cap from the family of former player Bobby Langton earlier this week. Lancashire born Langton spent the majority of his professional career playing for clubs in the county with spells and Bolton, Preston and Blackburn, before finishing up at Ards in Northern Ireland. A formidable left-winger, he played 11 times for England after the second world war. Langton scored just the once, in a 7 – 2 rout of Ireland in the Home Championships in September 1946. During the war, Langton was stationed in Northern Ireland, and was part of the Glentoran outfit that secured the cup in 1945. In the 1949 game with Sweden, England went down 3 – 1, with Sir Tom Finney scoring a second half consolation for the visitors in Solna.